In the past we've made some announcements that have combined changes that are good for everyone - Arena prizes, new heroes - with changes that have met with mixed emotions - like nerfing Quickdraw Cannon and Essence of Life. For our next release we have decided to not make any balance changes, or change to the core features you know - this release is all about making Kingdoms more fun for all players, new or old. With our next release Eve, Rise and Tribes will all be dropping in price. You will notice that there is no 3-Pack price. As of this release the 3-Pack has been removed as the Gem pack and Gold pack are now separate packs. Unlike previous "Gold only" packs, these packs still have 10 cards, still have a rare or higher in every pack and can still open every card in the set. We've just made the Gem packs a little more enticing by giving them a better chance of opening an Epic and awarding crafting Essence in every pack (Light Ascending and Descent into Darkness packs will also award Essence in every pack). Tribes singles have also been added to the hourly singles rotation... because it's that kind of a release. We are aware that some players may not feel we've gone far enough with these price drops. Instead of crashing the prices, we've instead dramatically increased the amount of gold that can be gained by playing in the Arena. The Limited and Standard Win challenges, previously locked behind a 1749 rating requirement, are now open to ALL players. Whether your at 1900 or 1300, you can still get gold for your wins, whether against live opponents or against the AI (note that your rating will still only change against live players). And the reward for completing your wins? Well it was 250 Gold (lame). We've bumped that up to 2,000. All in all, if you complete all of the challenges for the day, you will receive 15,000 Gold (plus your Gems), giving you enough to open a pack (or more) every day! We've heard the concerns about the Tournament Prize Pack. To make this pack more exciting to players new and old we've gone crazy and made it possible to open up to 3 rares per pack. Will you be the first to open a pack with a Rare, an Epic AND a Legendary in it? That's now entirely possible. For our newer players, and future players, we've done a complete review of the prizes given out for beating the nodes in the training grounds. 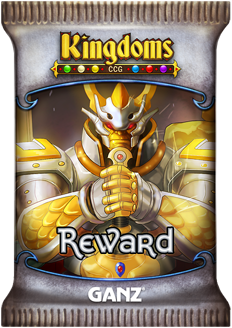 Many of the reward cards have been changed to give new players a better starting collection by the time that they defeat Nemesis. Examples: Where we used to award "Mill," we now award "Silence". Where we used to award a Noxious Golem, we now award a Scroll Maker. This pack will open a single card from any of the released booster sets, anywhere from Common to Legendary. Now every player will have a unique experience in their travels through Euna. Another fun card that can add some chaos to a game. Have a great weekend everyone, and we'll see you on the battlefield! 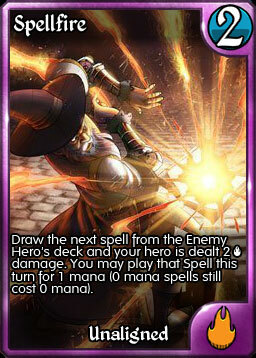 Kingdoms CCG will be down today from 9:30 am EST to around 12:30 pm EST for Server Maintenance. No content will be changed or added during this downtime, it is just technical work. Edit: 12:25 pm EST - All done! Game is back up. a) You can now continue to gain charges after you've triggered Step Through Time, but are still on the same turn. b) You will now never gain charges on the bonus turn gained with Step Through Time. The Scavenger Goblin trick no longer works. NOTE: Scavenger Goblin WILL drain the opponent's charges on the bonus turn, but the Thania player will not gain any of those charges. Yes, you can now have 40 players on your friends list. If all goes well, we'll bump this up to 50 in a future release. If you have ANY issues with your Friends List due to this change, please contact us at kingdomsccgsupport@ganz.com. 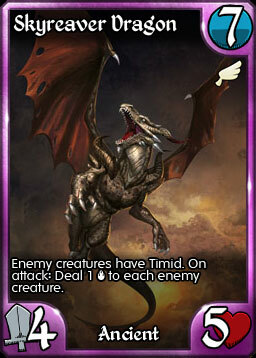 3) Tribes Two singles are no longer appearing in the Featured Card area. This was an unintentional change in the last release and has been fixed. Tribes Two singles remain in the Singles Market. We've had this request from a lot of players and in our next release we will be increasing the maximum number of friends from 25 to 40. If everything goes well, we'll then increase that number again to 50! It's working! 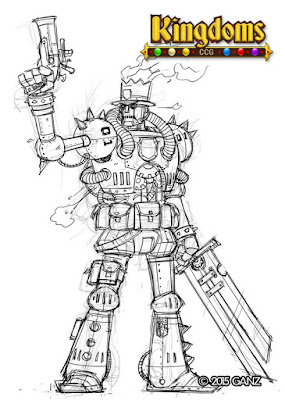 We actually need the new art (even though we do like a good cola) but the system is complete. We'll be using variant art cards as prizes in the Arena, Guilds and special tournaments. Watch this blog for more information as we nail down our plans. Season 2 of the Arena ends this weekend. Make sure you get in your 20 live PVP games to ensure that you get your prizes! Look for the Tribes Two bundle to return this weekend! If you're looking to get these great cards, this is the perfect deal for you. Each Kingdom will be available for just 5 days, so don't miss out. With all of the changes to Kingdoms CCG over the past few months and the influx of new players, we felt it was time to update and clarify our policies on a few issues. As preventing players from creating secondary (or more) accounts, known as "Alts," is not possible, we feel that it is important to clarify exactly how an Alt can and can't be used. 1) Try the campaign again. 2) Test deck designs against yourself, in the Skirmish room only, without using the AI. 3) Play the Alt completely independently from your other accounts. If you have the time and patience to run two main accounts, you are welcome to do so. If you have been found to have used an Alt for any of these purposes, your main account can and will be banned. This ban will last until Ganz deems that an appropriate amount of time has passed. Any prizes won through your use of the Alt can and will be removed from your account. 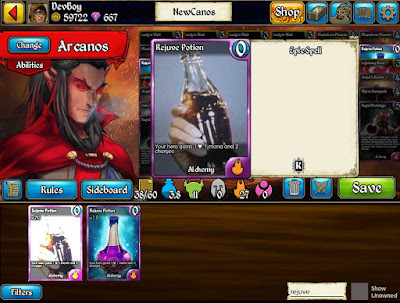 Fundamentally, using Alts in this way is cheating, and cheating in any form will not be tolerated in Kingdoms CCG. Like many online games, chat in Kingdoms is both a blessing and a curse. At its best you have players having thoughtful discussions of cards, tactics and deck types or even non-game topics like movies and TV. At its worst it is vile, offensive and frustrating. We at Ganz believe strongly that chat should be an open and free as possible, but without abuse and trolling. Long time moderator Grrwaaa has posted an excellent run down of what to avoid in chat so that you are not muted. We strongly recommend that every player read these guidelines. Note that if you are muted, most mutes are just for an hour or two to give you time to cool off. Longer mutes (12/24 hrs.) are reserved for the worst abuse and repeat offenders. Any longer mute can only be carried out by Ganz. If you are muted please do not use Alts to continue the conversation that you were muted for. If you do, your main account may be banned outright. Finally, on a happier note, we get to the problem that no one minds having - opening a duplicate Legendary in a pack. 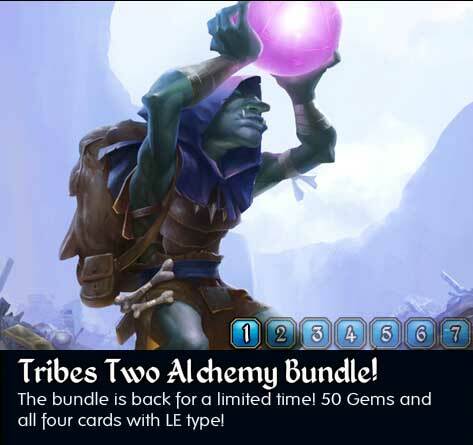 Any Legendary opened in a pack that you have more than one of can be exchanged for ANY non-promo Epic card from ANY set (including Tribes Two). Want to trade a 2nd Pyre for a Raise the Guard? No problem. Just contact customer support at kingdomsccgsupport@ganz.com. 1) You must have opened the duplicate in a pack of cards. 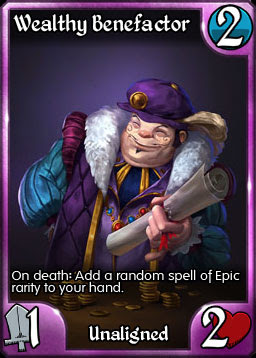 Cards purchased in singles, with honor, or are promos are specific excluded from this offer. 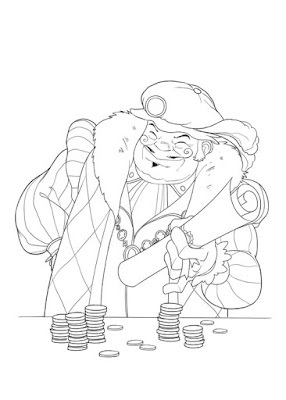 2) Packs can be purchased with Gold or Gems, or won through a tournament or in the arena. Open a duplicate, name your Epic. 3) Your request must come within one month of opening the duplicate. This is because we will confirm that the Legendary was opened in a pack, and we want to limit the amount of data we have to sort through. Letting us know when you opened the Legendary will definitely help. It is out goal to make a fair and enjoyable environment for all of our players and we have made these policies to ensure that the game fulfils this goal. The second season of the PvP Arena is well under way and we're finally able to present to you the prize card that you've been playing all this time for. We weren't sure if we were going to be able to get this in on time, but we've done so - the card will be added to the game on Monday. We've also finally gotten ahead of schedule on our Arena promos and will be presenting a peak at Season 3's card art at the end of this article. 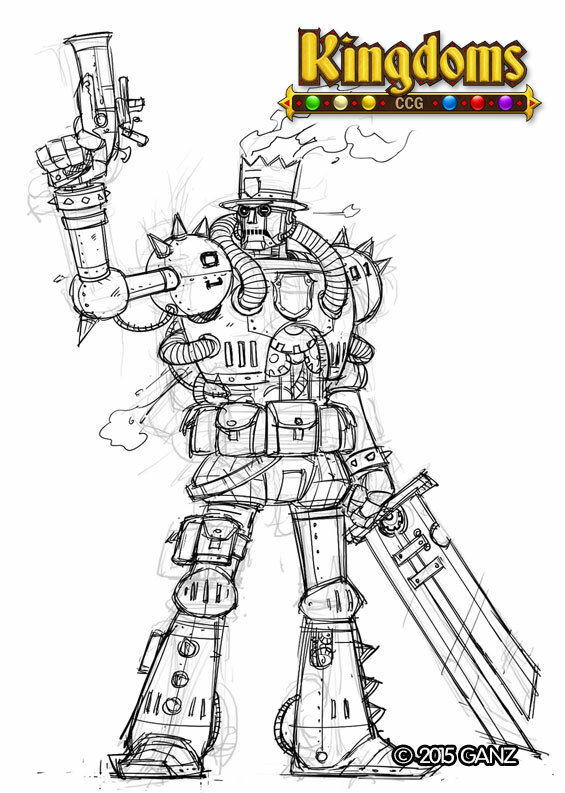 Without further ado, I present Spellfire. Like Summoner's Gambit, Spellfire offers the opportunity for a big reward; if you're willing to take the odd misfire here and there. For 2 mana you're guaranteed to draw a spell card (assuming your opponent has any left in their deck) and that spell's mana cost will become 1 mana until the end of turn. 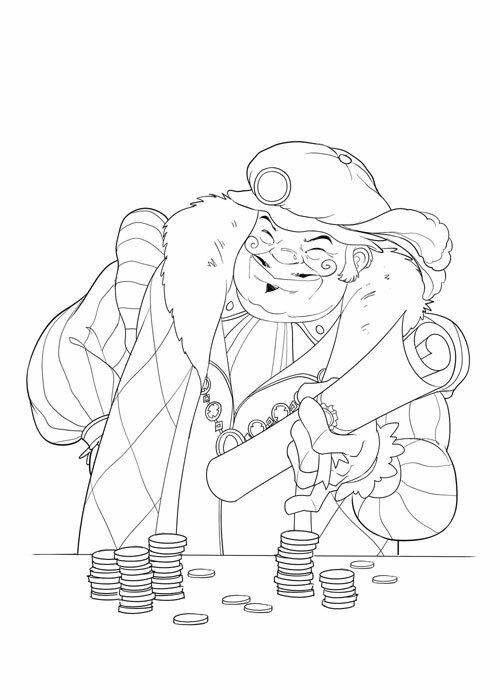 Stealing spells isn't easy though, and your Hero will take 2 magical damage in the outing. 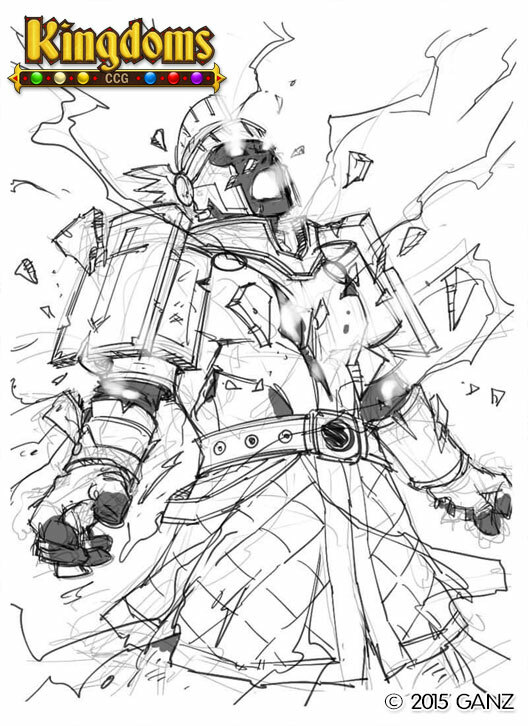 If you hit any big spell - Echo Blast comes to mind - you'll create a massive swing in the board state, and of course be removing that card from your opponent's deck. As most players only play the best possible spells, your odds of grabbing something useful is very high. Of course there's always the chance of getting a Duplicate when you're playing no Gear, but that's often a risk worth taking. We look forward to hearing how Spellfire was used to grab victory out of the hands of defeat by using a Hero's powerful spells against them! With Monday's release we're also taking the opportunity to make a couple of card changes and fix a couple of problematic bugs. When I designed Final Verdict, it was intended to deal with two problem cards in the meta: GooG in Guild Wars and Justice, Demigod in Limited. As such, it needed to be able to deal with cards that were untargetable, and that couldn't normally be destroyed. After watching its impact since release, its clear that it has rendered the text "can't be destroyed" and the ability Indestructible moot, something that put the power level of the card too high. 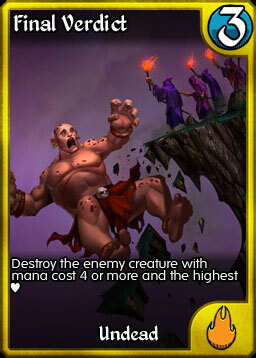 With the new text, it is now the spell that is destroying the creature, so Indestructible will prevent its effect. As Justice was later dealt with directly, this small change to the card's function should open the environment back up to popular "big creatures" like Skybreaker Giant. And talking about big creatures, Skyreaver Dragon, the biggest from Descent, has returned to its original design. During the beta there was concern that this creature was too powerful, and so it was raised to 8 mana, and given an extra point of HP. The team has since agreed that this wasn't necessary, so the changes have been undone and we hope to see the Dragon more in competitive play. While still a potential victim of Final Verdict, the Dragon's powerful effects now warrant the risk. 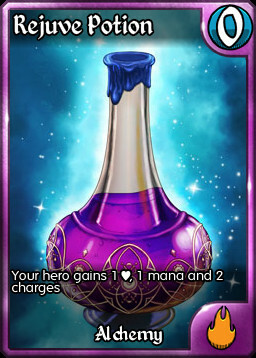 Burn - The way this ability interacts with 0 atk creatures and those with Invoked has been fixed. Burn now only affects creatures that deal physical damage and that have done at least 1 point of damage. 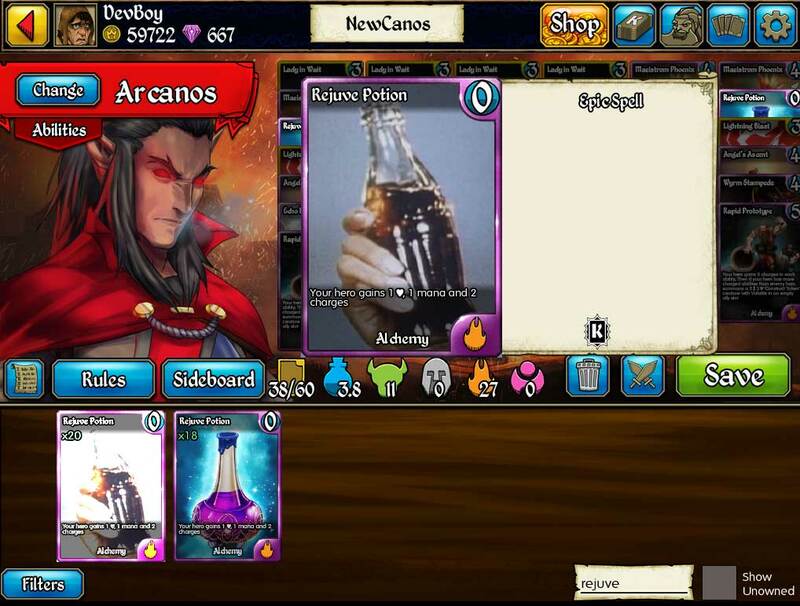 Aggro Advanced Tutorial - The change to Arcanos in the last update broke this Tutorial as Arcanos would kill the Hellhound on the first turn, throwing the entire script off. This has been fixed and the tutorial can be completed properly. Starting on June 13th, we will be bringing back the Tribes Two Limited Edition bundles for a very limited time. Each bundle grants one copy of each of the four Tribes Two cards from a specific kingdom and includes 50 Gems for the low price of $10 - including the golden LE Etched type. This is a great opportunity for new players to grab these popular cards. Each Kingdom will only be available for 5 days, and all seven Kingdoms will be offered. Can you guess what this card's text is?